National Book Award-winning author Peter Matthiessen takes readers on an expedition to find the most dangerous predator on Earth-the legendary great white shark. On a trek that lasts 17 months and takes him from the Caribbean to the whaling grounds off South Africa, and across the Indian Ocean to the South Australian coast, Matthiessen describes the awesome experience of swimming in open water among hundreds of sharks; the beauties of strange seas and landscapes; and the camaraderie, tension, humor, and frustrations that develop when people continually risking their lives dwell in close proximity day after day. 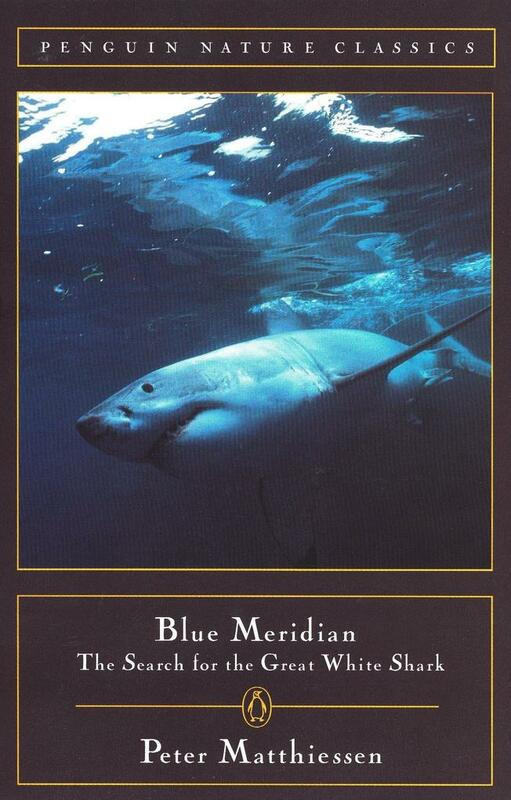 Filled with acute observations of natural history in exotic areas around the world, Blue Meridian records a harrowing account of one of the great adventures of our time. Peter Matthiessen was the cofounder of The Paris Review and is the author of numerous works of nonfiction, including In the Spirit of Crazy Horse, Indian Country, and The Snow Leopard, winner of the National Book Award.